Going multilingual with your communications is a large investment – one that needs careful consideration and a tight strategy. Your website is the hub of all your marketing activity and as such it needs to be optimised to the needs of the clients and prospects who visit it. This is not just about search engine optimisation, important though that is. It concerns the ability of your visitors to access the website content in a language that they will understand. At a first glance, the answer is simple, surely? Just take your existing website, duplicate it and then translate the content, adding a domain name that is local to the country you are targeting. Job done. Unfortunately, getting local domains is not that easy – you essentially need, for example, to have an office in France to purchase a .fr domain name. That is the least of your problems though and we’ll talk more about domains in a moment. Duplicating your website is a solution that lures you with its simplicity, but there is a sting in the tail of this stratagem. That is, you now have two websites to maintain. Make changes in your English one – add a new product, change a price, add a section – and you then need to make changes in the other, in the local language. And that problem compounds as your portfolio of countries expands. If your overall plan is to conquer all of Europe in the next five years, you will have a heap of websites to maintain and update. See the problem? So what’s the solution? It’s a new website – sorry about that. However, this one will be a single, multilingual website that keeps everything together in one place. As you add pages, products or other content, it will be there in English, initially – even in your other countries. Add the translation to the layer for those countries and your site is always up to date, even if it is not always translated. One place for content; one site to maintain; one location for visitors to address. What about the domain name? If you have a .co.uk domain, it really will not work for your international site. You need a Top Level Domain (TLD) that is suitable for your marketplace. Worldwide, the .com domain is broadly used. If you are limiting to Europe, you could use .eu, but why shut off the possibility of trade with other parts of the world? And, briefly, what about translation? Surely I can use Google Translate to put my website into Russian, Hindi, Chinese and so on? You might think that this is a solution, but here’s a good test for you. Take a paragraph of technical content from your current website or from your literature and paste it into Google Translate, then translate it into Chinese. Copy all of the Chinese and paste it back into the source pane (where you had originally put in the English) and change the translated language back to English. The result will most likely be nonsense. This test simply amplifies the effect of imprecision that you get through a machine translation. You are far better to get someone on the ground in the target country to translate for you – a distributor, reseller or agent. Not only will they understand the language, but they’ll also know the technical terms that are used for your product or service and the right way to frame sentences to attract maximum attention. If you don’t have local helpers, then a translation agency will need to be used. 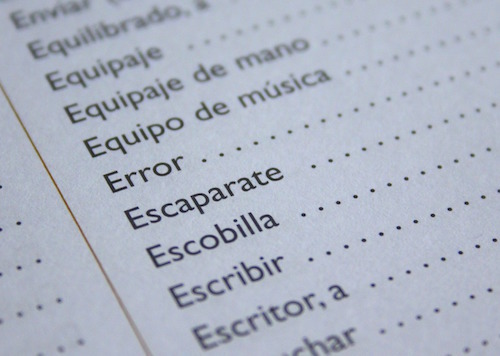 With your multilingual website, its TLD and its beautifully translated content, who could resist buying your products? You can read more about how to optimise your online business for export in our blog post. And if you need some goodies to help you convince your colleagues of the need to go multilingual, check this blog post.